If you have a passion of creativity and you want to change the world through your design thinking, this blog is for YOU. 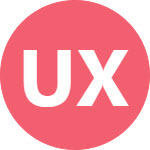 UX Design World is a blog that shares stories about user experience, usability and product design with true love and dedication. A continuous effort is being made to focus on everyday problems that an individual or a team of professional UX Designers encounter in their professional lives. If you want to read more about your interests, feel free to share your feedback: Contact Us. Your suggestions are much important for us. If you don’t want to miss an update, Subscribe to recent posts by clicking Subscribe button on right side.